The Touch Innovation Program (TIP) begins this new year with a new batch of startups joining the 2nd cycle. For that reason, we have reached out to TIP’s 1st cycle alumni Rudy Bekerejian, co-founder of ecomz, in order to share with us how TIP impacted his business, describe the relationship between ecomz and Touch, provide the new startups with advice, as well as reveal what ecomz has in store for the future. Q: Can you provide us with a brief description of what ecomz is? A: Ecomz is an end-to-end and advanced ecommerce store builder allowing merchants to create an online store with a click of a button and sell online in a simple and cost effective way. It’s a subscription-based ecommerce platform completely hosted in the cloud. What makes it special is the flexibility it provides merchants to easily customize the stores and reach multicultural markets such as the MENA region. Q: Why did you choose to apply to TIP? What were your expectations from the program at the time? A: We applied to TIP because of its credibility since it’s organized by one of the largest Telecommunication companies in the region. TIP focuses its efforts on investing in and empowering the startups in the country through its large network. Q: How did TIP help your business? What did you benefit from the program? A: The mentoring had a huge impact on ecomz; it allowed us, both founders and the team, to further perfect our skills. Touch has backed us up on many occasions by giving us credibility and promoting us. The program provided us with many networking opportunities and connected us with strategic players in the country and beyond. For instance, we received an invitation to the Silicon Valley Program by MIT Enterprise Forum Pan Arab which allowed us to connect with many mentors and investors as well as envision the future expansion of our startup in the North American market. Additionally, we were able to increase our visibility and exposure thanks to the interviews on OTV and MTV. Now more people know about us and are using our platform because of this. Finally, the certificates and the Antwork passes were a great conclusion to this great first milestone! Q: Why do you think it is important for corporate and startups to work together? A: After living for more than 30 years in North America, I returned to Lebanon and founded ecomz because I was planning to be part of the new wave of startups that would bring back Lebanon as the technological hub of the Middle East as it was decades ago. 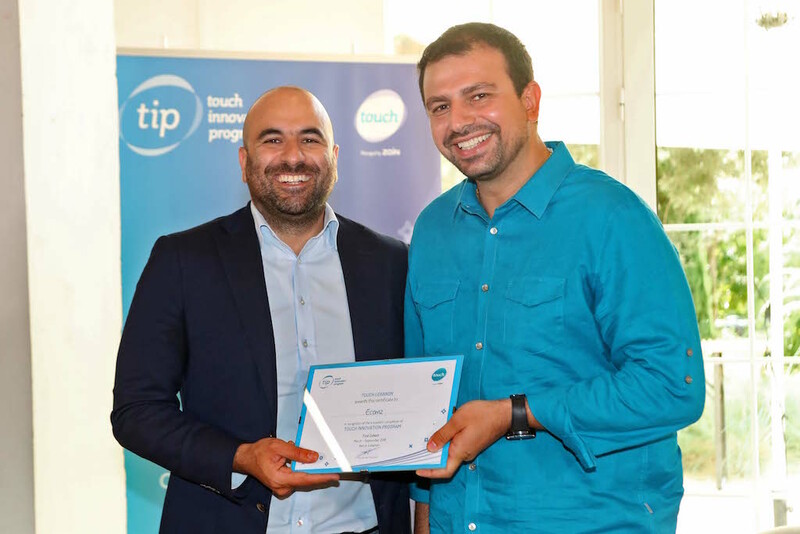 Since Touch is a corporation managed by Zain and the Lebanese Government, we believe it is imperative to get the needed support to flourish in our region. All other countries are investing in their startups, and we strongly believe that it is a must that all large corporations in all sectors contribute to the startup ecosystem since it is proven to create endless opportunities for the future. We intend on doing the same once we become a large corporation ourselves. Q: Having participated in the program, what would you advise the startups of the 2nd cycle? A: Take this program very seriously since it is extremely beneficial for your startup. Touch will do 50% (and sometimes a bit more) of the effort and you need to do the other half. Don’t expect anything to come by easily, work for it! I would say give it all the priority it deserves and enjoy the journey while learning from this experience with Touch. Q: How would you describe ecomz’ relationship with touch now? A: We have been positively Touched by this great experience. Touch is like a big brother to ecomz. It is a long term relation and I can describe it as strong, trustful, and mutually beneficial. Currently, we are on the way of closing multiple contracts with Touch; we are also planning to join the Touch Partner program in the future to benefit from the Touch merchant network. Q: Where is ecomz now? what are your future plans? A: Today, Ecomz is growing faster than ever. It has only been a few months and we are already breaking even and landing more big contracts locally and internationally. We are constantly enhancing our technology and adding many attractive new features. In parallel, we are secretly working on innovative tools that will revolutionize ecommerce and make us the platform of choice for all the merchants in the future. We have recently partnered up with large brands such as DHL, Areeba, and LibanPost increasing our reach in many sectors. I would like to take this opportunity to call all Digital Agencies in the country to contact us for partnerships and new opportunities. Our aim is to become one of the top ecommerce players globally. We will be announcing in the next few months more details on that, stay tuned.